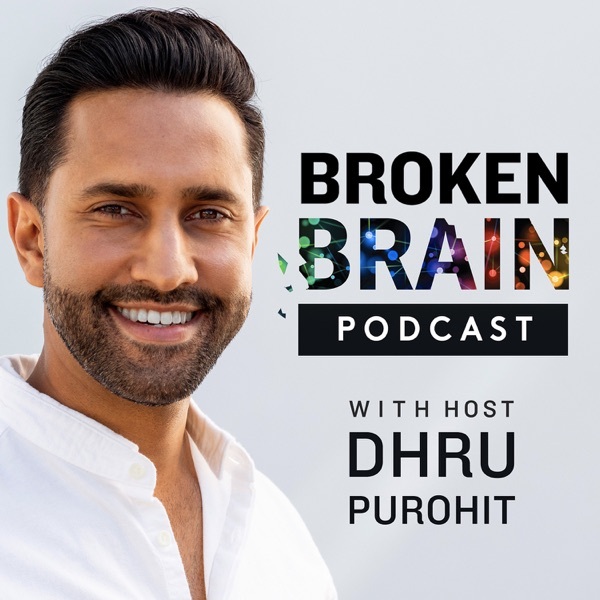 Broken Brain with Dhru Purohit | Listen Free on Castbox. 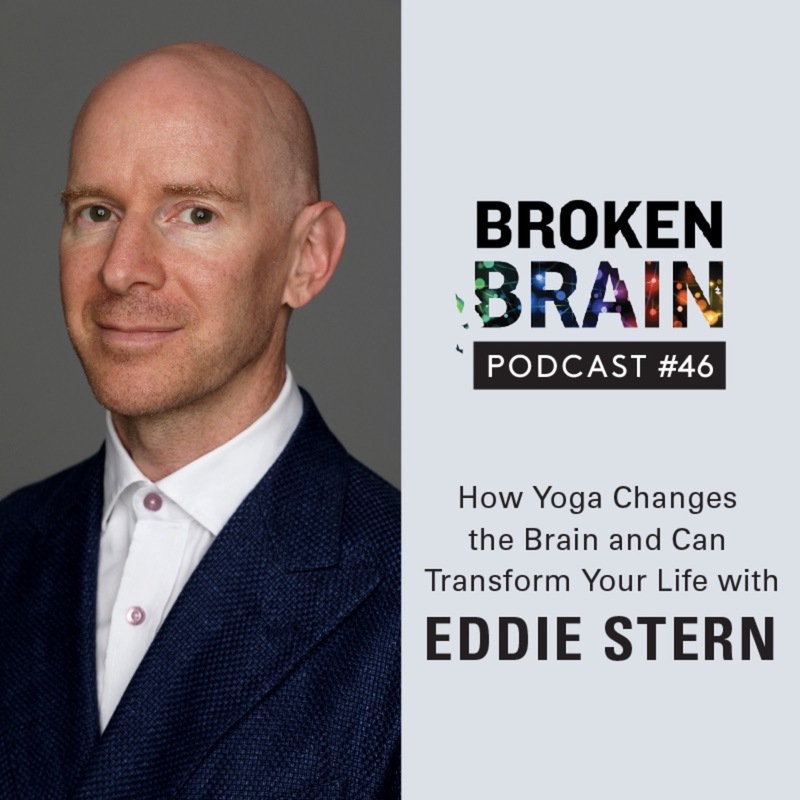 The Broken Brain podcast will help you take your brain health to the next level and teach you how to live your best life! Listen as host and serial entrepreneur Dhru Purohit interviews the top experts in the field of neuroplasticity, epigenetics, biohacking, mindfulness and functional medicine. With so much conflicting dietary advice, divided opinion, and contradiction, what should we be eating and doing from a dietary perspective? 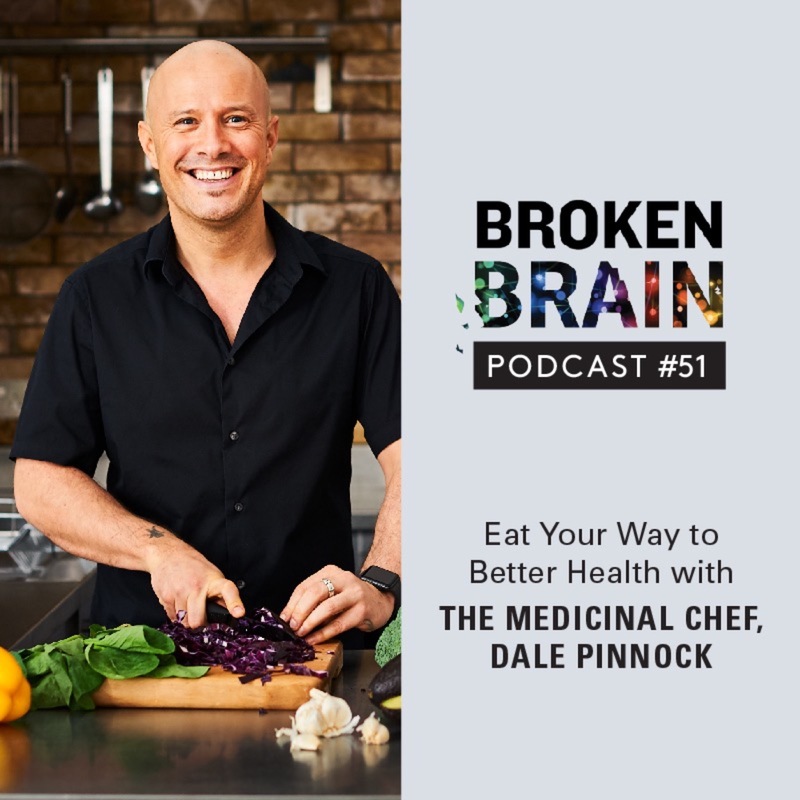 Food is more than just fuel; it's key in helping us live longer, healthier lives, so how do we create practical, delicious meals that are a pleasure to eat but also alleviate a variety of ailments and illnesses?On today’s Broken Brain Podcast, our host, Dhru, talks to Dale Pinnock, a celebrity nutritionist and chef. He has an undergraduate degree in Human Nutrition, a Postgraduate Degree in Nutritional Medicine, and a lifetime in the kitchen. Dale uses the culinary arts as a delivery system for the often confusing science of nutrition. He is the best selling author of 14 books and a regular face on UK Television. 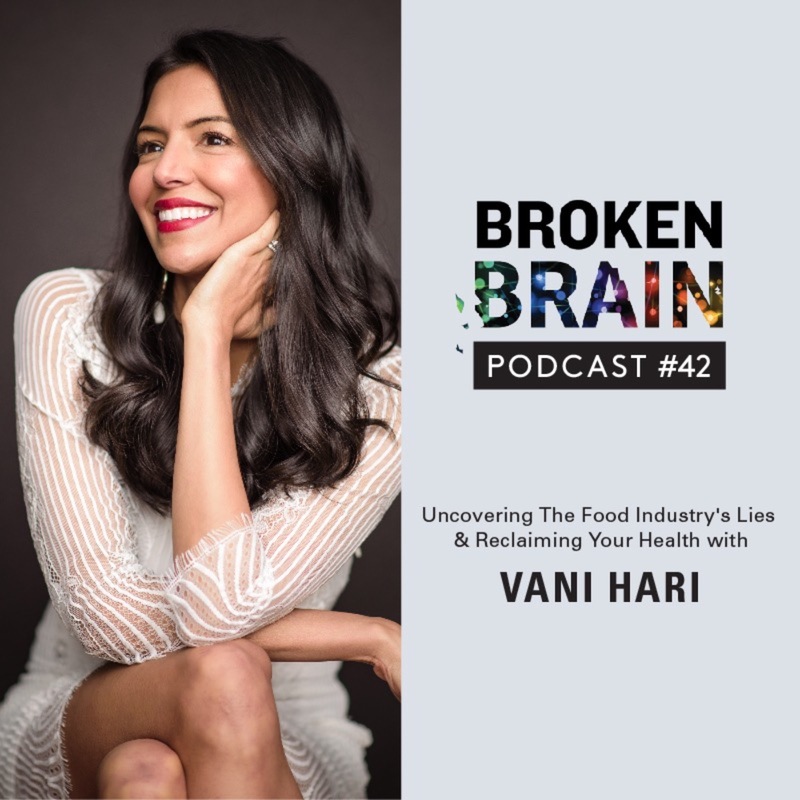 He co-hosts the hit show, Eat Shop Save on ITV, going into its 3rd season.In this episode, Dhru and Dale break down the science of nutrition to help us understand fact from fiction and how food truly is medicine for the body. They discuss simple, practical tips for turning the pattern of degenerative disease around. They also talk about how to make the right changes when it comes to our diet without confusion, restriction, or breaking the bank.In this episode, we dive into:-Why eating healthy can be so confusing (2:19)-How to interpret studies from fact and fiction (4:50)-Practical tips for choosing whole foods (6:30)-Dale’s story and what led him to a career in food and nutrition (7:05)-Food trends and fads (15:40)-The importance of diversity in our diet (25:15)-Tips for parents on getting their kids to eat healthier (27:59)-The benefits of intermittent fasting for longevity (30:28)-Food and the impact on brain health (35:40)-The secret to better sleep (42:15)-Dale’s flu-fighting soup recipe to boost the immune system (45:47)-Tips for clear skin (49:58)-Dale’s Nutrition Coaching Monthly program (54:20)-Dale’s TV series, Eat Shop Save (57:13)-Learn more about Dale and his work (1:06:21)For more on Dale Pinnock, be sure to follow him on Instagram @themedicinalchef, on Facebook @themedicinalchef, and on YouTube @themedicinalchef. Check out his podcast, The Medicinal Chef's Nutrition Nuggets, here and check out his website https://www.themedicinalchef.co.uk. You can learn more about his monthly Nutrition Coaching program here, and you can find his books, right here. Lastly, check out his TV series, Eat Shop Save. Breast implant illness is an issue that many doctors and surgeons simply don’t believe in. However, there are many ways in which breast implants can create dysfunction and disease in the body, leading to a wide range of devastating symptoms. Biofilms, compromised implant materials, and immune reactions are just some of the reasons women with breast implants can get sick. 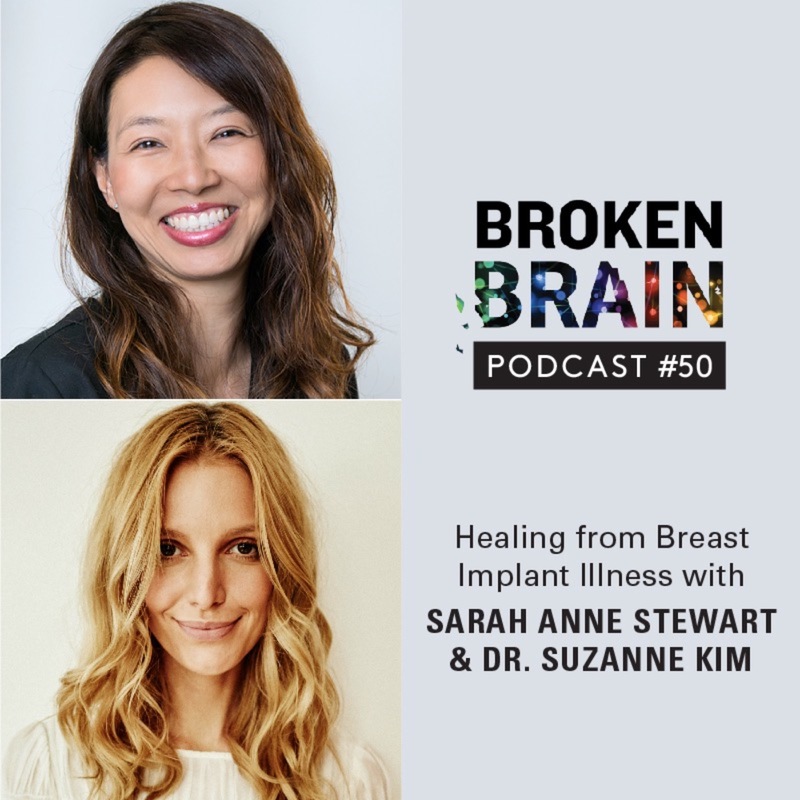 There are even studies showing an increased risk for various types of cancer in women with breast implants, as well as new FDA warnings coming to the surface.On today’s Broken Brain Podcast, our host, Dhru, talks to his good friend Sarah Anne Stewart, her doctor Suzanne Kim, and her plastic surgeon Dr. Lisa Cassileth. Sarah is a Functional Medicine Certified Health Coach, founder of the Awesome Inside Out Movement, an advisor to international wellness brands, and soon to be Hay House author. Dr. Suzanne Kim is the Medical Director of Infusio in Beverly Hills where she treats patients with chronic degenerative diseases using a whole mind-body approach which includes the application of stem cell-based therapies, genetics, and peptides. Dr. Lisa Cassileth has been practicing plastic and reconstructive surgery in Beverly Hills for over 12 years. Her reputation for repairing failed cosmetic and reconstructive surgeries attracts patients from all over the United States and throughout the world.In this episode, Dhru and his guests dive into an important health topic that is not being talked about enough: breast implant illness. They discuss Sarah’s experience with breast implant illness, and why it’s commonly misdiagnosed. They talk about the risks associated with breast implants, who might be genetically predisposed to breast implant illness, and the role detoxification plays in our overall health. They also talk about the importance of looking at the psychological and emotional aspects involved in breast implants, explant surgery, and health issues as a whole.After his talk with Sarah and Dr. Kim, Dhru interviews Dr. Cassileth, Sarah’s doctor who removed her implants. They discuss the surgical side of implants and explants and the growing trend among women who want to have their implants removed. They also talk about how to find a surgeon who can perform explant surgery and the importance of having the entire capsule removed.In this episode, they dive into:-Sarah’s story about breast implant illness (4:13)-How breast implants trigger an autoimmune response (11:41)-Sarah’s emotional journey of getting her implants removed (14:14)-Using an En Bloc procedure to safely remove breast implants (16:20)-Dr. Kim’s protocol to follow prior to explant surgery (18:18)-The safety risks associated with breast implants (26:49)-Why breast implant illness is commonly misdiagnosed (30:34)-Genetic predisposition to breast implant illness (33:01)-The financial repercussions of breast implants (57:49)-The importance of being your own health advocate (1:05:53)-FDA statement that breast implant illness could be associated with ALCL cancer (1:26:24)-How to find a surgeon who can perform explant surgery (1:37:53)-Dr. Cassileth’s innovative auto-augmentation technique (1:41:53)-Specific techniques to use when getting implants to reduce risks associated with breast implant illness and ALCL cancer (1:43:30)For more on Sarah Anne Stewart, check out her website www.sarahannstewart.com, and be sure to follow her on instagram @sarahannestewart and on Facebook @sarahannestewartcoaching.For more on Dr. Suzanne Kim, check out her website http://infusiobeverlyhills.com, and be sure to follow her on instagram @infusiobeverlyhills.For more on Dr. Lisa Cassileth, check out her website at https://www.drcassileth.com. Most of us assume that aging means living with declining health, including prescription drugs, disease, and chronic pain. While we may be living longer, we’re not living better, so how do we solve the paradox of wanting to live to a ripe old age, but enjoy the benefits of youth? 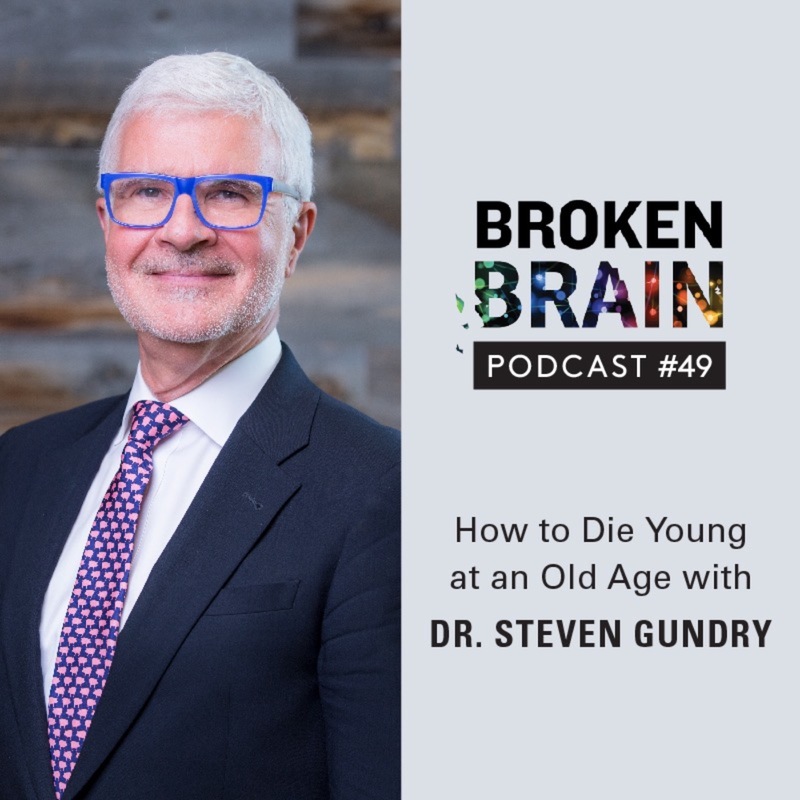 The “diseases of aging” we most fear are not simply a function of age; rather, they are a byproduct of lifestyle choices over decades.On today’s Broken Brain Podcast, our host, Dhru, talks to Dr. Steven Gundry, a renowned heart surgeon, celebrity doctor, and medical researcher. Dr. Gundry is the leading expert on the lectin-free diet as the key to reversing disease and boosting longevity. He is the author of three New York Times best selling books: Diet Evolution, The Plant Paradox, The Plant Paradox Cookbook, The Plant Paradox 30, and his newest release, The Longevity Paradox: How To Die Young at a Ripe Old Age.In this episode, Dhru and Dr. Gundry talk about how some of the foods we think are the healthiest may play a role in leaky gut, autoimmune disorders, and other diseases due to proteins called lectins. They discuss why olive oil is so good for you and how it can dramatically reduce your likelihood of developing dementia or other neurological diseases. They also talk about common myths of aging and longevity, and simple hacks to help anyone look and feel younger and more vital.In this episode, we dive into:-How to die young at a ripe old age (2:01)-Lectins and how they impact our health (15:15)-Common foods that are high in lectins (17:02)-Gluten, GMO’s, and lectins (27:42)-The connection between glyphosate and leaky gut (31:21)-The myths of aging and longevity and the Medeterrian diet (32:37)-How polyphenols can prevent heart disease (35:46)-Longevity and brain health (42:17)-Why Dr. Gundry writes prescriptions for dogs (45:56)-Dr. Gundry’s exercise routine (46:52)-What’s possible when it comes to longevity (49:54)-Learn more about Dr. Gundry and his work (52:34)For more on Dr. Steven Gundry, be sure to follow him on instagram @drstevengundry, on Facebook @drstevengundry, and on Twitter @drgundry. Check out his podcast, The Dr. Gundry Show, here and check out his websites www.drgundry.com and www.gundrymd.com. You can find his books, Diet Evolution, The Plant Paradox, The Plant Paradox Cookbook, The Plant Paradox 30, and his newest release, The Longevity Paradox: How To Die Young at a Ripe Old Age, right here. More than 35 million Americans suffer from Hashimoto’s—the country’s fastest-growing autoimmune disease, which affects the thyroid gland and causes the body to attack its own cells. Symptoms can include weight gain, fatigue, hair loss, persistent pain, chronic cough, acid reflux, irritable bowel syndrome, allergies, and brain fog. 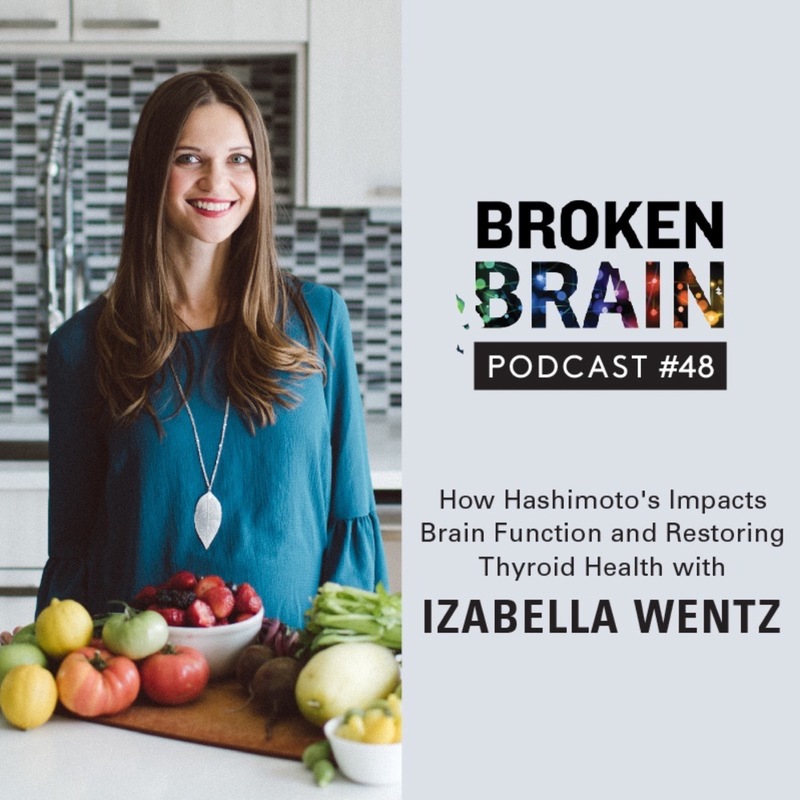 And many individuals who suffer the symptoms of this debilitating disease may not even be aware that they have it.On today’s Broken Brain Podcast, our host, Dhru, talks to Izabella Wentz, PharmD, FASCP, an internationally acclaimed thyroid specialist and licensed pharmacist who has dedicated her career to addressing the root causes of autoimmune thyroid disease after being diagnosed with Hashimoto’s thyroiditis in 2009. Dr. Wentz is the author of two New York Times best selling books Hashimoto’s Thyroiditis: Lifestyle Interventions for Finding and Treating the Root Cause and Hashimoto’s Protocol: A 90-Day Plan for Reversing Thyroid Symptoms and Getting Your Life Back. She recently released her third book, Hashimoto’s Food Pharmacology.In this episode, Dhru and Izabella talk about the standard care of treating Hashimoto’s versus her approach of treating the root cause, as well as the importance of proper testing for an accurate diagnosis. They discuss what nutrients are required for thyroid function and what foods are especially beneficial to those with Hashimoto’s. They also talk about creating healthy habits to help revitalize the immune system, and the importance of community in the process of healing.In this episode, we dive into:-What is Hashimoto’s and what are the common symptoms (4:03)-Izabella shares her story of being diagnosed with Hashimoto’s (6:00)-How Hashimoto’s and hypothyroidism affect the brain (9:30)-How environmental toxins impact the thyroid (18:19)-Why food plays such an important role in Hashimoto’s (24:21)-The importance of removing gluten and dairy if you have Hashimoto’s (25:55)-How to determine if you have a food allergy or food sensitivity (32:04)-The benefits of doing an elimination diet (33:55)-Histamines and how they can cause symptoms of Hashimoto’s (38:42)-The link between iodized salt and autoimmune disease (42:41)-How fluoride suppresses thyroid function (48:54)-Izabella’s perspective on using medication for Hashimoto’s (52:24)-How chronic infections affect the thyroid (61:19)-Supplements for Hashimoto’s (63:38)-Izabella shares what she eats on a daily basis (66:45)-Learn more about Izabella and her work (76:41)For more on Dr. Izabella Wentz, be sure to follow her on Instagram @izabellawentzpharmd, and on Facebook @thyroidlifestyle.Check out her website https://thyroidpharmacist.com. You can find her books, Hashimoto’s Thyroiditis: Lifestyle Interventions for Finding and Treating the Root Cause, Hashimoto’s Protocol: A 90-Day Plan for Reversing Thyroid Symptoms and Getting Your Life Back, and her newly released book, Hashimoto’s Food Pharmacology: Nutrition Protocols and Healing Recipes to Take Charge of Your Thyroid Health, right here. Do you ever feel that you spend way too much time on your phone or social media or comparing yourself to others? Many people use social media as a way to connect to one another, but increased use is actually associated with increases in perceived loneliness and social isolation. We want meaningful connections with other people, but we’re not really building them. 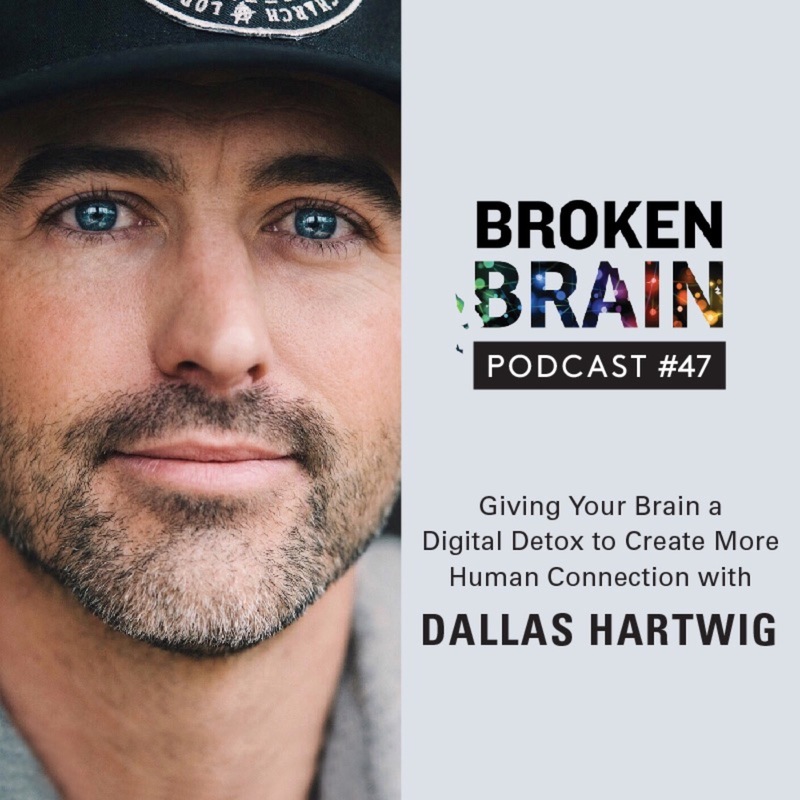 Technology and media aren’t the problem—it's how we use them, or how we let them use us.On today’s Broken Brain Podcast, our host, Dhru, talks to Dallas Hartwig, co-founder of the Whole30 program and co-author of two New York Times best selling books, It starts with Food and The Whole30. His newest program, More Social Less Media, helps people change their relationship with technology and media in order to connect with real life.In this episode, Dhru and Dallas talk about how to use technology and social media as a tool, and not let it rule your life, or your mental health. 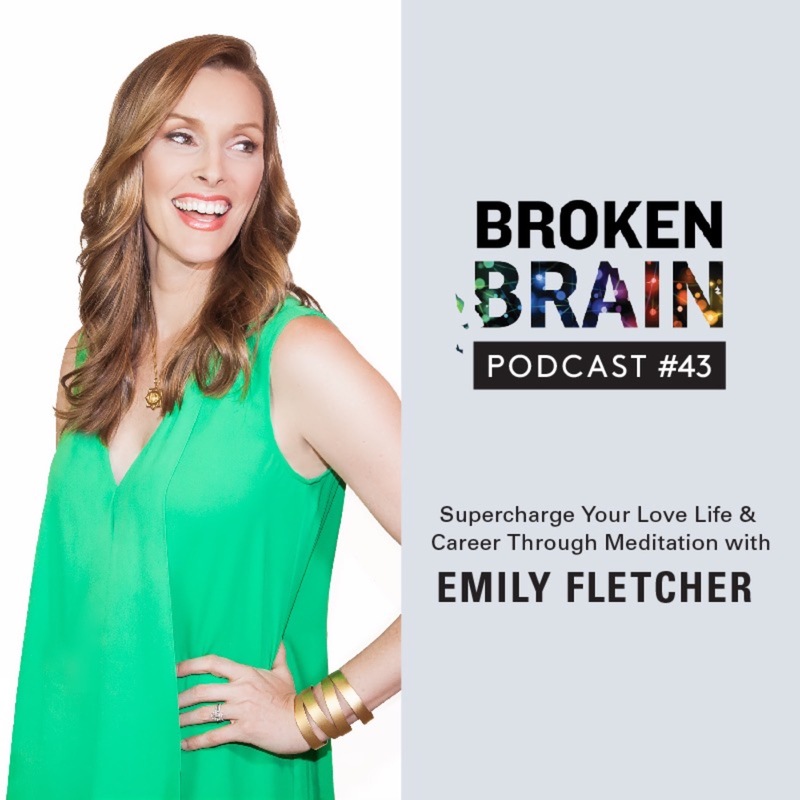 They discuss how to change your relationship with technology and how to create more meaningful human connection. 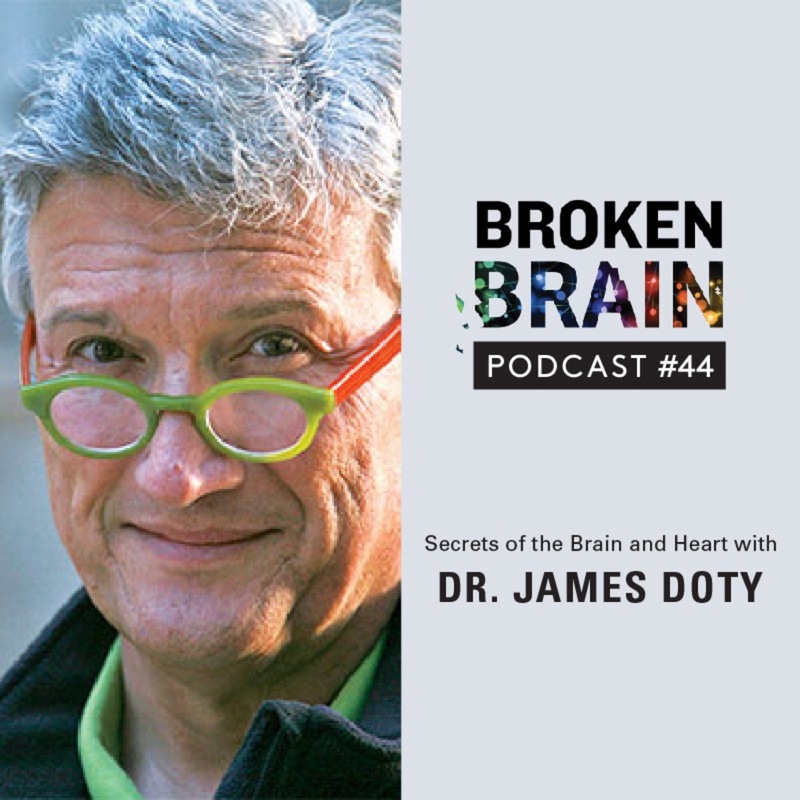 We also hear about community and friendship and why they are so important to our mental health and overall wellness goals, and how to ultimately bring more connection into our lives.In this episode, we dive into:-Dallas’s transition from best-seller The Whole30 to a focus on full-spectrum health (2:08)-The impact of disconnection (6:07)-What the modern technological world does to our brains (9:48)-Developing awareness of how media and technology affect us and how to create more meaningful human connection (18:10)-How technology impacts our productivity and what to do about it (23:25)-Creating healthy boundaries for technology and media (29:39)-How to live with technology and media in a healthy way (42:47)-Dallas’s More Social Less Media program (51:25)-Dallas’s new book (59:20)-Learn more about Dallas and his work (62:48)-The benefits of doing a social media detox (63:53)For more on Dallas Hartwig, be sure to follow him on Instagram @dallashartwig and @moresociallessmedia, and on Facebook @mrdallashartwig and @moresociallessmedia. Check out his website http://dallashartwig.com and learn more about his newest program, More Social Less Media, here. You can find his books, It Starts with Food: Discover the Whole30 and Change Your Life in Unexpected Ways and The Whole30: The 30-Day Guide to Total Health and Food Freedom, right here. I recently asked my Dr to check my hormone levels and, sure enough, everything came back "normal." how does this explain the crazy fatigue I've been experiencing the past year? how do we find drs that specialize in holistic medicine and would health insurance even cover something like that? I have no idea to whom I'm asking these questions, lol, just thinking out loud I suppose. Great podcast. I love the production, the quality of the questions within the interview and the information it gives us. Thanks! First episode I'm listening to from this podcast. Diggin' it! But what's up with the interviewer's mic? The echo makes it a bit hard to understand. What an exceptional episode. I don't use that term lightly. I work as a personal trainer and am looking at going into medicine. Medicine as I know it has always been traditional, and that made me hesitate pursuing it as a career. As of late, I have come across functional medicine which touches on a lot of what I try to emphasize to my clients: the importance of sleep, stress relief, eating, etc...and how it affects your life. To be able to explain to someone the true science behind why their body responds the way it does is life-changing. Thank you for making this information available. I have now discovered the way to combine two fields I love. Keep the knowledge flowing!